We want to promote personal development of your children to prepare them as best we can for the challenges that lie ahead in life. Our staff consists of experienced, certified and continually trained educators. Hartford Preschool in Davyhulme is a Preschool that will take care of your children with love and commitment. What we've been getting up to. 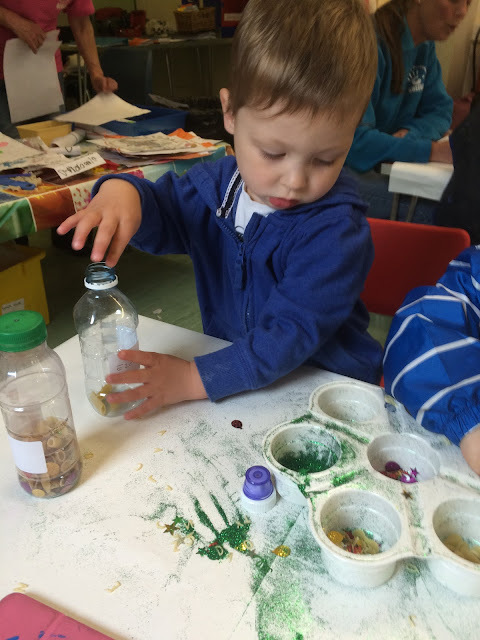 This week we have been filling bottles with all sorts of interesting materials for children to explore texture, encourage them to focus and give a sense of achievement. 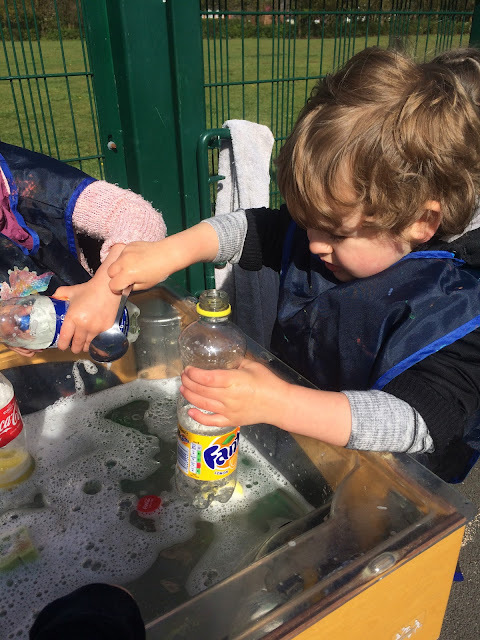 For this mornings activity we enhanced our water play with plastic bottles, lids, sponges and teaspoons. Playing with water helps children to express their feelings and generally hold the child's concentration. Learning to screw and unscrew kids also gives the children a sense of achievement whilst working their fingers and hands to build up their strength when getting ready to write. The activity challenges hand eye coordination, rotational skills whilst learning new words. You can support your child st home by adding bottles and tea spoons to the bath at bath time. The EYFS has been updated for September 2014. We will let you know what has changed. We offer a wide range of activities, which we deliver through a structured timetable which covers the areas of learning specified by the Department of Education. The Department stipulates that there are seven areas of learning and development that must shape educational programmes in early years settings. All seven areas of learning and development are important and inter-connected. We are a member of the Pre-school Learning Alliance. The strongest foundation for children and families. As a parent you are your child’s first and most important educator. Research shows that parental support for children’s learning has a direct impact on how well they do, both in early years settings and also later on in life, and it is widely recognised that the learning that takes place in childcare settings builds upon vital home experiences with parents. The Alliance actively promotes and supports parental involvement in all our work. We offer impartial information and advice to help you find out more about care and education for young children, so you can make an informed decision about the childcare that is right for your child. 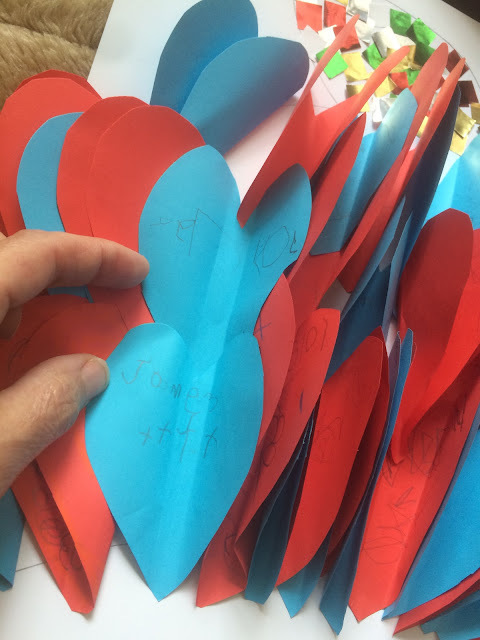 We also support parents and children by offering affordable childcare provision, discounted books and resources, family learning programmes and adult training. Thanks for stopping by. My name is Stephanie Wise. Have a look around and get to know us. I welcome your thoughts, comments, tips or personal contact requests. Please use the contact form to get in touch.